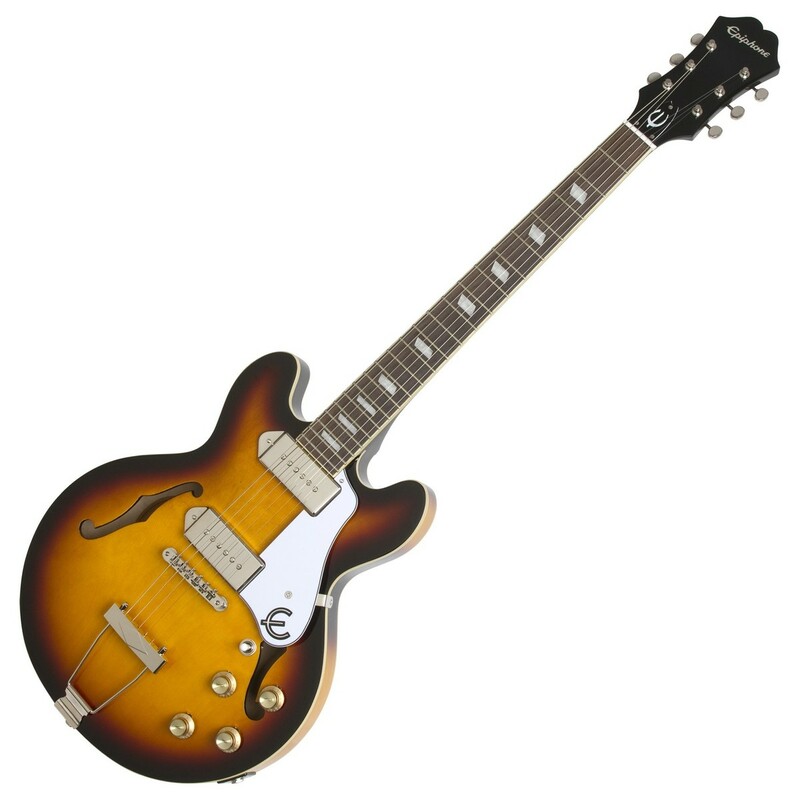 The Epiphone Casino Coupe, Vintage Sunburst incorporates the popular, trademark features of the hollow body Casino, into a smaller size. Whilst still retaining the legendary archtop sound, the Casino Coupe offers easier transportation between gigs with its ES-339 body. 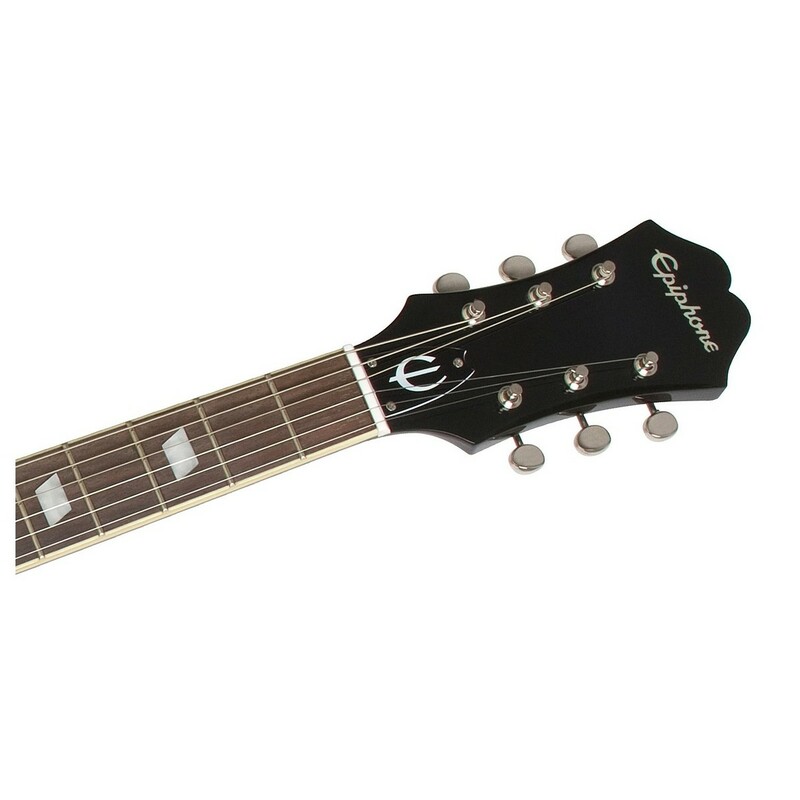 The Epiphone Casino Coupe's neck is made from mahogany for a deep, rich sound; and it is paired with a warm rosewood fingerboard for enhanced articulation. With a 5-layer laminated maple body, the Casino Coupe Vintage Sunburst delivers an exceptionally bright tone with plenty of snap and twang. The pair of Epiphone P90 pickups project the iconic tone and produce a full-rounded, punchy sound that is ideal for classic rock. The reliable hardware includes a LockTone Tune-O-Matic bridge and a Coupe-sized Trapeze tailpiece, as well as Deluxe machine heads for stable and worry-free tuning. The classic, attractive Casino Coupe features a Vintage Sunburst finish and a black/white 3-layer pickguard to complete the vintage look. The Epiphone Casino Coupe is loaded with a pair of Epiphone 'Dogear' P90 Pickups that produce a huge sound, which is powerful yet crisp. The P90's vintage tone matches the Casino's retro appearance perfectly, and they deliver clean, tight and rhythmic punch for classic rock tones. 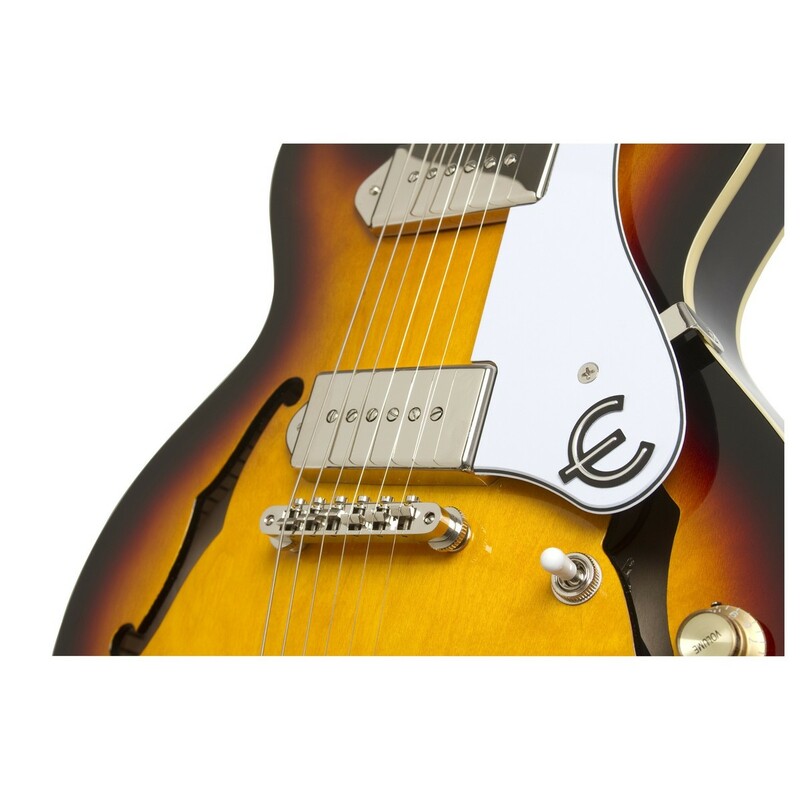 The Epiphone Coupe is equipped with a LockTone Tune-O-Matic bridge and Deluxe 14:1 Ratio machine heads, which work together to provide stable and reliable tuning. 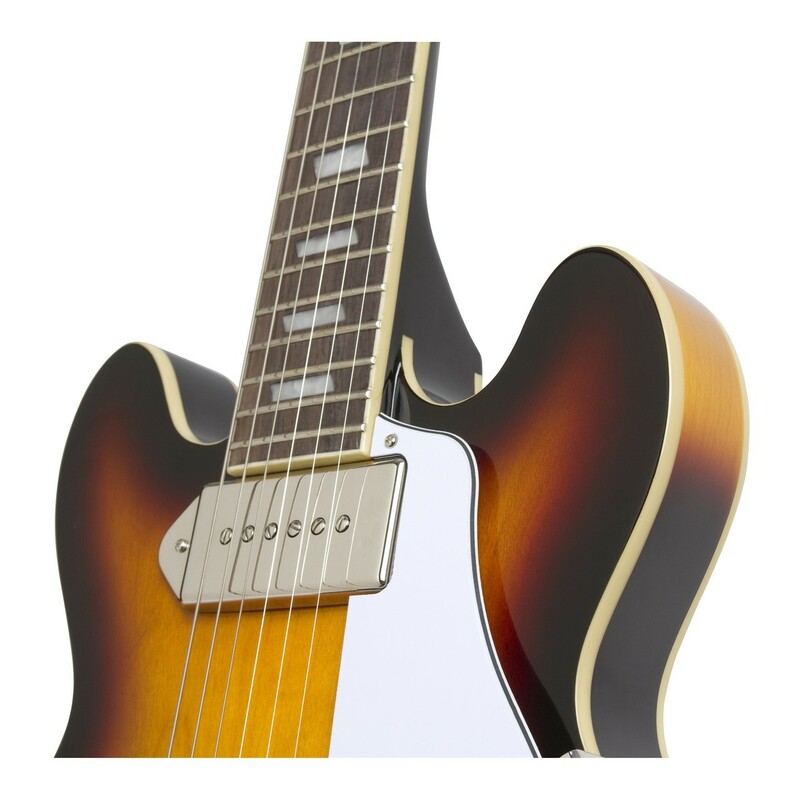 The Casino Coupe Guitar features the same classic style of the Casino hollowbody, yet it has a smaller body size for easier transportation and enhanced comfort. The Casino Coupe body is crafted from 5-layer laminated maple, which offers a lightweight guitar that delivers bright, crisp and twangy tones. The hollow body guitar, with two 'f' holes, provides a resonant and airy chime which allows the guitarist to achieve almost acoustic tones. Featuring a mahogany neck to deliver a warm punch, the Casino Coupe Guitar’s overall sound is open and relaxed, creating a sonically pleasing tone with excellent articulation. The neck is paired with a rosewood fingerboard which extends the mahogany’s natural warmth, creating a beautifully mellow tone with beautiful articulation. The mahogany and rosewood combination provides the Epiphone with complex highs, thick, creamy lows, and a punchy midrange. 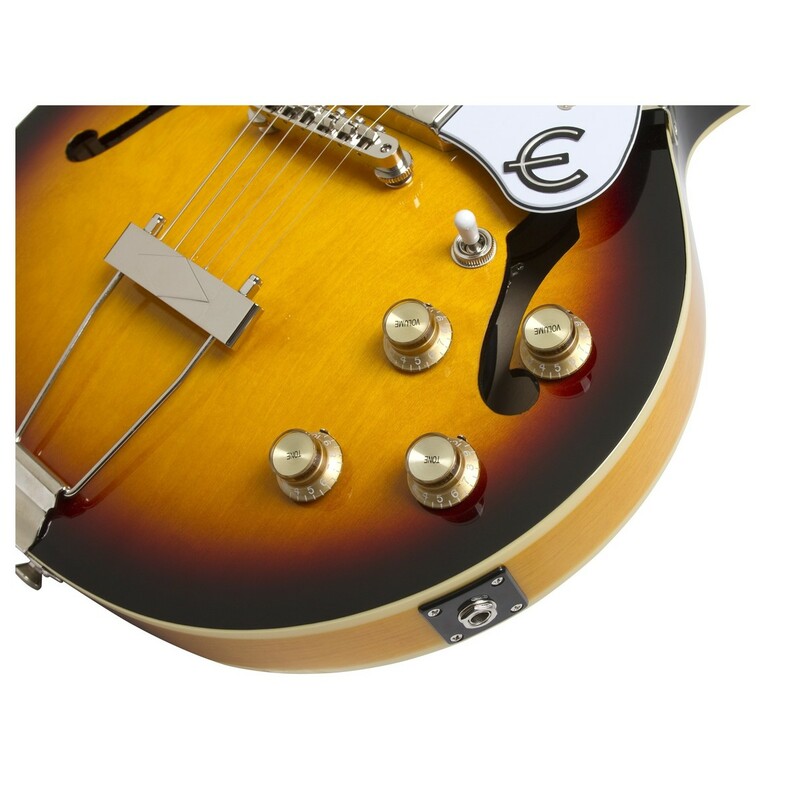 For the Epiphone Company of 1961, the Casino was a small breakthrough. After the merger with Gibson in 1957, Epiphone moved away from making large archtops. A new era of music had arrived. 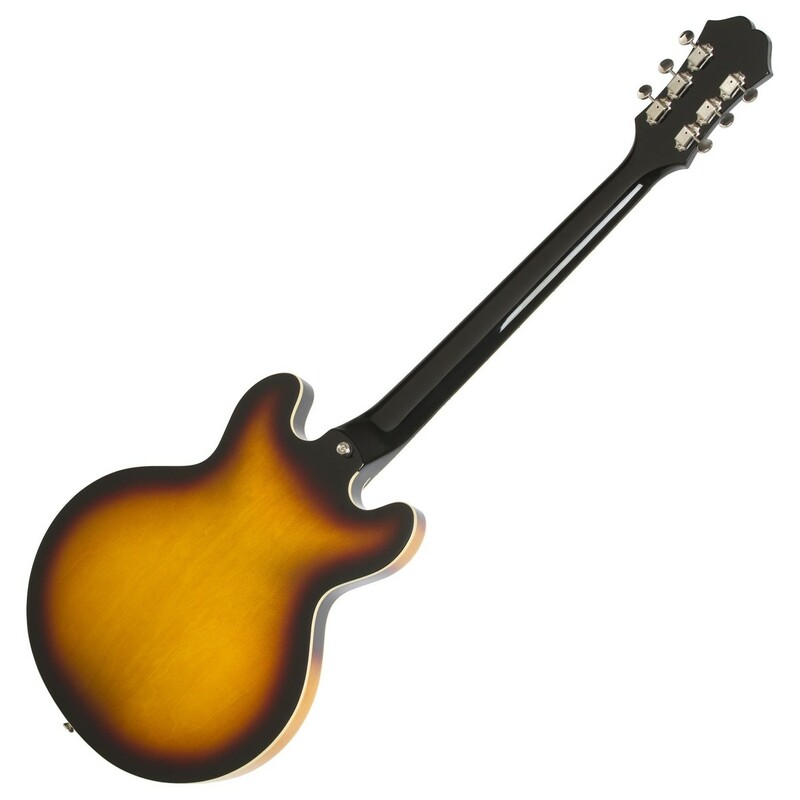 The introduction of the Casino was a modern design which announced that Epiphone's unique history would continue separate from Gibson's. The Casino was a true hollowbody giving players a clear, ringing tone that could be pushed into overdrive when needed. The Beatles, Paul Weller and Noel Gallagher are just a few of the players who have made great records with Casinos. The Casino Coupe brings the popular and iconic features that make the Casino so loved; and incorporates them into a much smaller size with the same big sound.